When hearing the word stock photography, most people think of the infamous failed stock photos: Studio portraits of people with artificial smiles posing in front of a white background. In reality, stock photography can be any kind of photography, as long as there is a commercial use case. 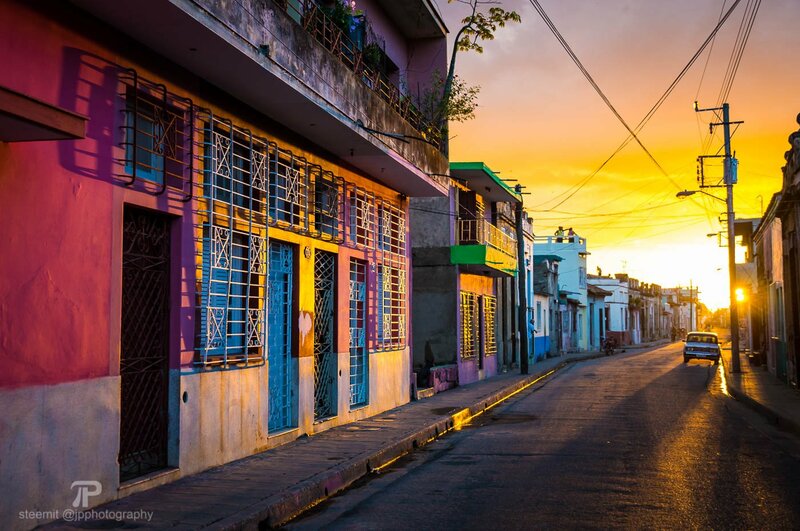 Almost all of my stock photos are photos that I have captured during my travels. Some decades ago, traditional macrostock agencies were charging hundreds of dollars per photo. With the rise of the internet, the demand for low-priced photos has risen and so have microstock agencies. 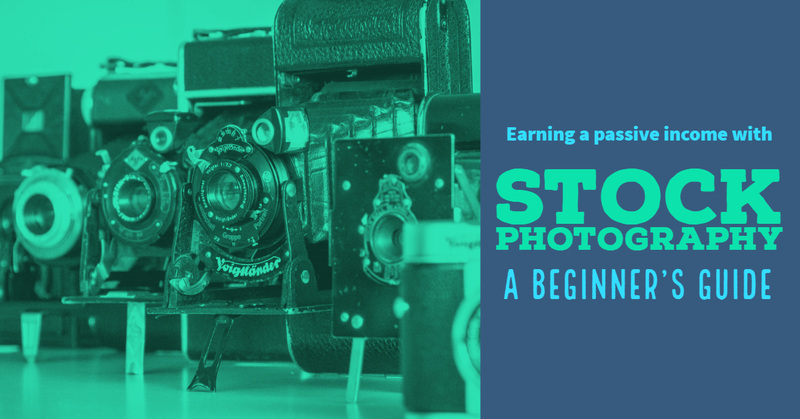 While most macrostock agencies only accept professional photographers, microstock offers semi-professional and even advanced amateur photographers the possibility to earn a passive income. With most microstock agencies, customers are paying a fixed subscription fee per month and get access to a huge selection of stock photos to choose from. Both Shutterstock and Adobe Stock offer a package of 350 photos per month for a fixed price of only 129€. While this is a great deal for customers, this leaves us photographers with low earnings per sale – my average sale earns only about 0.55$ with the median price being much lower. For prices like this I have seen my photos appearing in a Lonely Planet, on various big news websites and travel blogs and recently my mom discovered one of my photos as a big ad in a German newspaper. As a microstock contributor, I can not see who buys my photos and when I come across one of my photos, I have no way of verifying if a photo has been properly licensed or stolen. These are the reasons why many professional photographers dislike microstock, but there are also many advantages to it. 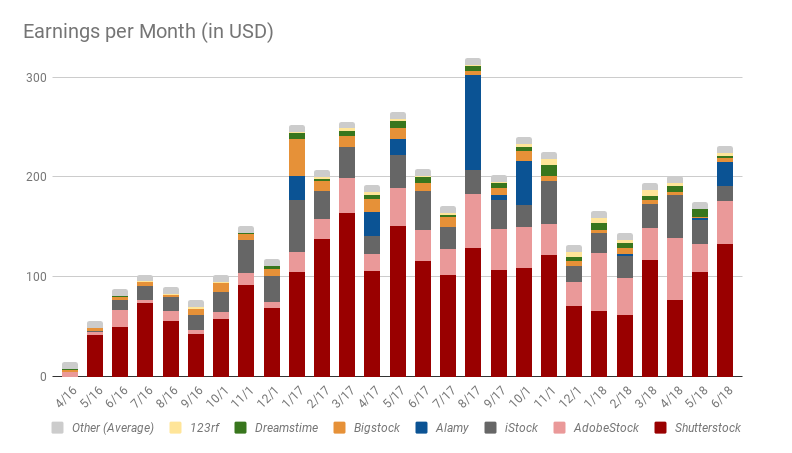 While the revenue per sale might be small, the income of a portfolio of a few hundred photos selling multiple times quickly adds up: Since March 2017, I have not spent a single minute working on my stock photo portfolio, but still, I am earning a passive income of 150-200 USD per month off my portfolio of 600 photos. On top of that, I still sell a few photos for higher prices directly through my website and through the stock agency Alamy, the only major macrostock agency that is easy to get into. To get started with stock photography yourself, the first step is to decide where to sell your photos. This is where many photographers make their first big mistake: Uploading their photos to only one agency. You can see why this is a mistake by looking at the distribution of my revenue: If I would submit my photos to only one agency, I would miss out on at least 46% of my income! The market is split between many major and minor agencies and most customers will not compare them, but have a subscription at one agency where they buy all their photos. If your photos are unavailable at this agency, you are missing out on a potential sale. The reason why many photographers choose to submit to one only agency is the time-intensive process of submitting photos manually to multiple agencies. Luckily, there is a convenient tool which I will introduce in the second part of this guide that will do the work for you and submitting to multiple agencies will be no more work than submitting to only one. Despite that, it does not make sense to register with any agency – I have tried out about 20 agencies, but some including Zoonar, Panthermedia, Yaymicro, Stockfresh, Crestock and the photo community 500px have paid me less 5$ or nothing at all since I signed up with them and are therefore not worth the effort of creating an account. Eyeem is another agency that I did not include in this list since it is not compatible with any tools and require to submit each photo manually which is too time-consuming. All stock photo agencies will ask you to complete a tax form when you sign up or after you have been approved. With a German residency, I can sell photos as an individual without registering a business and make use of the double tax agreement, so I only need to pay income tax in Germany and not in the US (for US sales), but the situation is different depending on where you are based. Do your own research or ask your tax accountant. I would recommend you to register with all the agencies below, but at least with the ones printed bold. If you click on the agency name, you can view my portfolio, a click on “Register” will take you straight to the sign-up page of each agency. 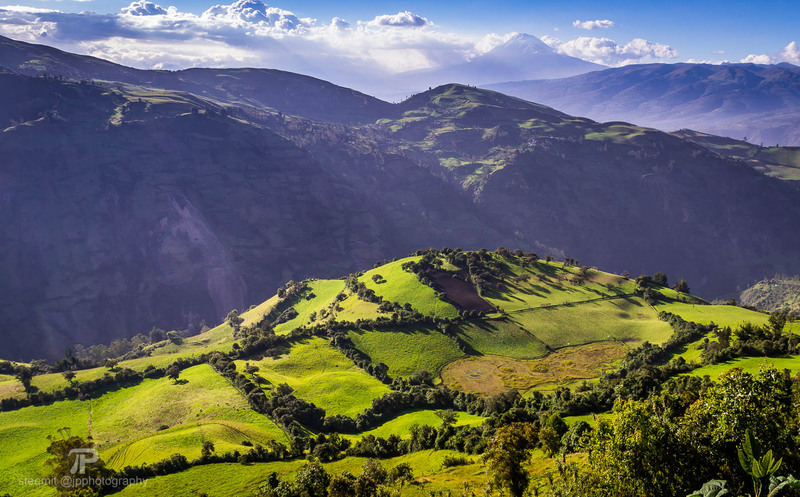 One of my best-selling photos from EcuadorThe approval process can take from a few hours to several weeks depending on the agency. I was approved by all agencies at first try, but I have heard of some people who had to apply twice. If many agencies don’t accept you, you should reconsider if the quality of your photos is suitable for stock photography. While you are waiting to be accepted by all agencies, you can select, edit and tag your photos – this is what the second part of this guide will be about. If you have any questions, let me know!